Evolution Mining is a leading, growth focused Australian gold miner. At Evolution our best discoveries are found everyday through the innovation displayed by our fantastic people. In return, our corporate focus is 100% on safety and getting our employees home safely. We are continuously committed to building an exceptional company that provides a workplace environment that is challenging, rewarding and fun for all of our employees. We want our people to share our vision and values and be part of our continued growth. We offer exceptional career opportunities across our diverse range of sites and group offices. And we want you to help us discover more! Our two-year structured Graduate program is designed to develop you by building your knowledge base, skills and experience across the Evolution business, and placing you into a meaningful role at the end of the program, with a desire to see you as future leaders of the business! If you want to be part of an organisation that takes people seriously, is small enough that everyone knows who you are but big enough to have the opportunities for you to grow and develop, then Evolution is the place for you! The Graduate Program for 2019 is now closed. Your Evolution: Why the Evolution Mining Graduate Program? In addition, the Evolution team will work with you during the last 6 months of your program to help you find a permanent role aligned to your skills, interests and the business needs. 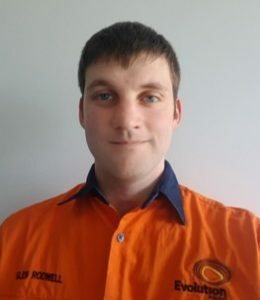 Alex is passionate about mining in general and believes that each site has its own unique challenges and problems that are ready to be tackled. 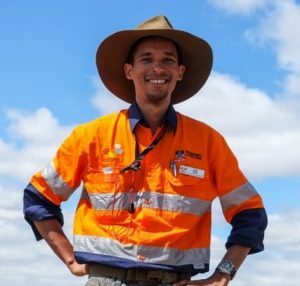 Alex enjoys fossicking, prospecting and exploring new places along the way as he believes adventure is an important part of a healthy lifestyle. 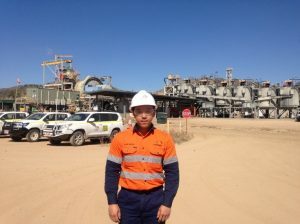 Alex completed a double degree in a Bachelor of Commerce (Finance) and Bachelor of Engineering (Mining) at UNSW. Jason is passionate about tennis and coaching and has played competitive tennis and had the opportunity to coach both tennis and swimming. Jason enjoys staying active and involved by keeping busy both mentally and physically. Jason is passionate about continuous improvement through personal development and is always seeking ways to improve himself. Jason completed a Bachelor of Engineering (Mining) and a Masters of Commerce (Finance) at UNSW. 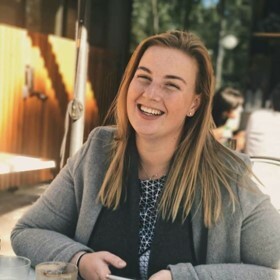 Michaela is passionate about social justice and learning everything she can through enthusiastically taking every opportunity that comes her way. 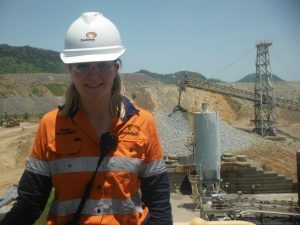 Michaela completed a Bachelor of Engineering (Mining) at UNSW. Dylan is passionate about encouraging country students to explore the options that university can provide. 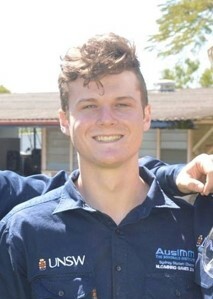 Dylan enjoys being involved in the community due to him growing up in a small country town and is an avid sports fan. 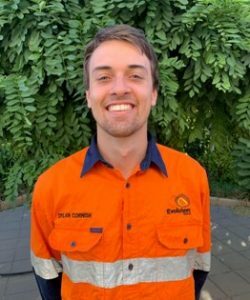 Dylan completed a Bachelor of Science (Engineering Science and Chemistry) and a Masters of Professional Engineering (Chemical Engineering) at the University of Western Australia. Lindsey is passionate about encouraging more women into STEM (Science, Technology, Engineering and Mathematics) careers, particularly in the resources industry. Lindsey enjoys being in the outdoors and playing football for her local club. Lindsey completed a Bachelor of Chemical and Metallurgical Engineering (Honours). 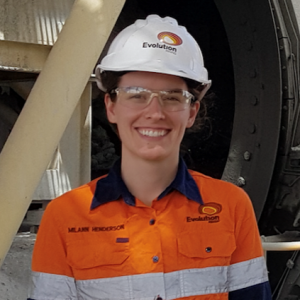 Millie is passionate about process engineering and operation, with her time at Cowal opening her eyes to the world of opportunities within the resources sector. Millie is keenly interested in the environment and ecosystem function which she explored during field work as part of her biology degree. Millie completed a Bachelor of Chemical Engineering and Bachelor of Science (Biology). Glen is passionate about making a difference in the field of geotechnical engineering through researching new technologies and methods. Glen thoroughly enjoys being able to assist others and teach them new knowledge. Glen is motivated to get tasks at work completed efficiently whilst getting everyone home safely. 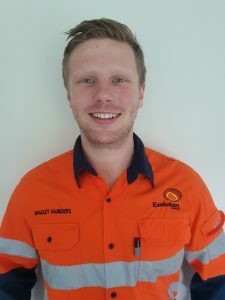 Glen graduated from the Royal Melbourne Institute of Technology (RMIT) with a Bachelor of Engineering (Civil and Infrastructure) with first class honours. 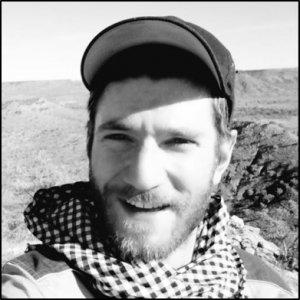 Mark Stokes is passionate about ice hockey, structural geology, mapping and their intersection with mining practices and resource extraction. Mark is motivated by his inquisitive nature and a curiosity to know more. Mark graduated from James Cook University with a Bachelor of Geology (Honours). Hans is passionate about rocks, the world around him and all there is to see and do in it. Hans is interested in experiencing and learning new things, especially if skills he learned can be applied every day. Hans completed a Bachelor of Science (Geology) with Honours. Lara is passionate about earth science as a whole from Antarctic icecaps and climatology to Australian Archean geology. Lara loves learning about rocks through time as well as societies and culture through art, history, philosophy and political science. 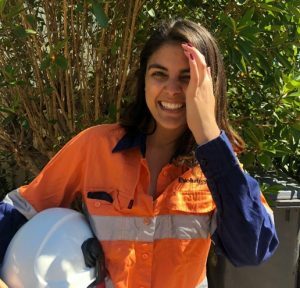 Lara is passionate about kick-starting her career in the mining industry as she believes it holds many opportunities. Lara completed a Bachelor of Science with Honours (Geology) and a Masters of Science (Geology) at the University of Western Australia. Grace is passionate about exploring, enjoying and protecting our environmental and unique Australian landscapes. Grace is motivated by a strong sense of social justice and challenging accepted norms. Grace is a firm believer that the best things in life are free, especially when it comes to experiences and memories. Grace completed a Bachelor of Science (Environmental Management and Geology) at James Cook University. Anna is passionate about generating positive organisational change, improving the employee experience, lifelong learning, travel and dogs. 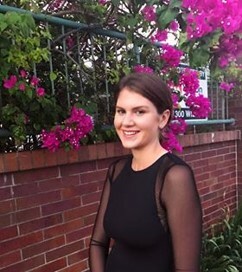 Anna completed a Bachelor of Commerce (HR) at the University of Wollongong. Applications for our 2018/2019 Summer Vacation Program have now closed. This program offers students in their 2nd, 3rd and penultimate years of their UNDERGRADUATE degree the opportunity to learn about the running of a mine site and contribute to our operations. This year, we have opportunities in the following disciplines – Mining Engineering, Mechanical Engineering, Geotechnical Engineering, Finance/Commercial, Geology, Metallurgy and OH&S. Click Here to find out more about the program and positions available. Please note that opportunities will be available at 4 of our sites across Queensland and NSW, as well as our Group office in Sydney. We strongly recommend that you apply for a site that is local to you because any required travel or relocation will be at your own cost. All site based programs for 2018/19 will commence in November/December 2018 and will last for 12 weeks. 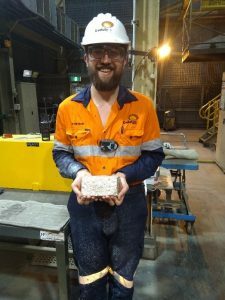 It has been a memorable and fun experience for me at Evolution Mining – Mt Carlton doing a 12-week summer vacation program there. I was exposed to the lifestyles and work life on a mine site and it was very different and new to me. 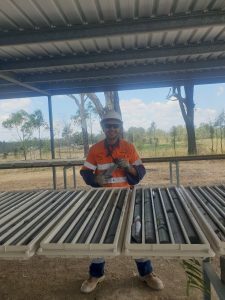 I’ve learnt many things and had the opportunity to apply my theoretical background knowledge from UQ to the practical applications and processes of Mining Engineering. Some of the projects or tasks that I worked on included drill & blast design using GEOVIA SURPAC, short-term (2 week) scheduling of mine production, setting up Deswik for scheduling mine production and technical analysis of the block model. I was also able to chair daily/weekly meetings for the mining department. 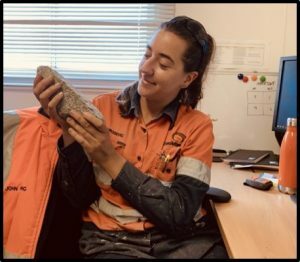 I worked alongside other roles including Geologists, Mine Surveyors and Mine Supervisors that have provided me with their knowledge and experience to understand how their work contributes to the mining system. Mt Carlton has great people to work and connect with and I have created many friends there with astounding work attitudes and ethics that make working there much more enjoyable. This experience has made me more confident by seeing the big picture and ready to jump straight into my future graduate program. The Evolution Mining Vacation Program has given me the opportunity to delve into a potential industry, allowing me the ability to explore future career options and gain critical onsite experience. The program is hands-on, allowing me to be immersed within the work environment while providing practical learning which provided me with fundamental value in return. 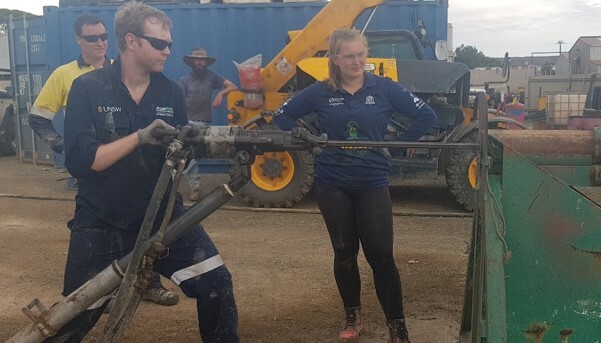 There is an accommodating support network at Evolution and over the course of 6 swings, has enabled me to understand the importance that Geotechnical Engineers play in the mining cycle. It has been a great experience making connections with the people at Mt Rawdon as they are eager to teach and there is always something that can be done. 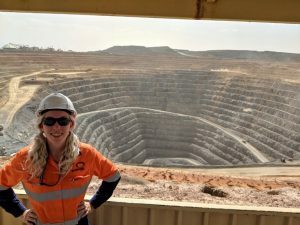 I was also given projects to complete which provided me with a strong sense of responsibility with a chance to demonstrate my commitment to learning and working within the mining environment. If you are looking for an opportunity to be fully immersed into the industry, I recommend that you join the Evolution Mining Vacation Program as it has completely opened my eyes to a new career path. It is both an enriching and fulfilling work experience that you should apply for. Evolution Mining’s Mt Carlton site has been a life changing experience. While studying my third year of chemical engineering I was unsure what field I wanted to pursue. Fortunately, I had the opportunity to work at Mt Carlton during July and again during the Summer vacation program as a student metallurgist. For me, placement at Mt Carlton has led me to choosing metallurgy as a career pathway and adding a metallurgy dual major to my degree. Over the course of the 12-week program I have been exposed to all aspects of working in a remote mining location. I have been involved in many small projects allowing me to apply my theoretical university knowledge, and developed skills in laboratory work, operational tasks, Excel, safety management, reporting and daily decision making. Working with a vast range of people and disciplines has enabled me to improve my communication and interpersonal skills. Experiencing camp life and an 8/6 FIFO roster has been a major highlight of the program as well as being surrounded by enthusiastic coworkers who were always willing to help. 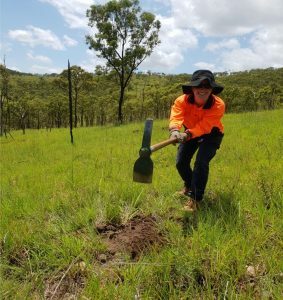 Evolution has a wonderful supportive culture, which was evident during two very challenging major flooding events that occurred in QLD whilst I was on site. I would highly recommend the Evolution Vacation Program as a pathway into the mining industry. I spent 3 months working on Evolution’s Drummond project. Drummond is a fledgling green-fields project and I was lucky enough to be involved with the initial setup of the project. Vacation work was an awesome experience for me, I learned about and participated in the exploration process first hand. I learnt about the types of data collected, went into the field and participated in the soil sampling program, geological mapping and operated the ASD spectral data machine. I learnt about other types of data such as IP and drone-mag and how these are collected and interpreted when compared with other data sets. I learnt about some of the programs used in the industry such as Leapfrog and Grass GIS. I also gained an understanding of the structure of staff and the different roles of geologists and field technicians. Through discussions with the other staff I developed an understanding of the process required for a tenement to turn into a viable mine. Overall it was a very eye-opening experience that has cemented my desire to enter into the mining industry. I have been so fortunate to spend my vacation period with Evolution Mining at the Lake Cowal, NSW operation. In this time, I spent approximately half of the program with mining (grade control) and the other half with exploration, covering a broad spectrum of tasks that a geologist undertakes in their day-to-day operations. One of the biggest benefits to working for the entire summer is being able to see projects and tasks to completion, and in-turn seeing the effects and implications of decisions made (though it really is just a taste-tester). Mining is just a new world entirely, so it was fantastic seeing how people worked together to complete large and difficult tasks. I was not sure what to expect as a vacation student, but the Evolution Team went above and beyond those expectations (I did not get stuck with the boring jobs that’s for sure). I was made to feel welcome and at home from day one, with people taking the time to teach me as much as possible. At the end of the day, you get out of it what you put in, and I will always cherish my initial steps into the mining industry. Working for Evolution Mining was an incredible experience. I came into the Vacation program hoping to gain practical experience from my Chemical Engineering degree and I certainly did. In addition, I had little experience or knowledge of metallurgy coming into the program. While working on site I was able to grow this knowledge whilst improving my lab and Excel skills, spend time with operators and seeing what it takes to commission new pieces of equipment. As a result, I am more confident in my technical skills and what I have learned from this program will be invaluable to my career going forward. The people were incredibly welcoming and accommodating and they willingly shared their own experiences in the industry. They really took me under their wing to explain to me how the process works and to include me in daily routine work. I would recommend this program to anyone who wants to gain some practical experience on site in processing, you won’t regret it. I thoroughly enjoyed my time at Evolution Mining’s Mt Rawdon operation. This deposit hosts a complicated geology, which challenged me to improve my technical knowledge. Throughout my stay I was supported by a friendly and knowledgeable geology team who made my learning a priority and have given me transferrable skills. I would highly recommend this program to other students looking for practical geological know-how and experience working for a friendly and professional operation. As a vacation student working for Evolution over the university summer break I was able to apply my skills and knowledge to a practical environment. Working in exploration from the Sydney office I discovered the technical side of exploration. Through the use of GIS spatial analysis software, I focused on data analysis and the application of the raw data collected within the field and how it is processed to discover new deposits. 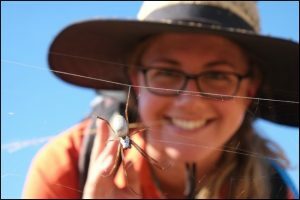 I also gained practical field experience, with Evolution providing me the opportunity to split my vacation program between Sydney and Queensland. By being out in the field I discovered how data is collected in prospective tenements and how it is processed and analysed before reaching the exploration team in the Sydney office.